Bye stars! Bye moon! Go to bed! A superb instruction is depicted by this bedroom sticker for all those children who need to sleep after a hard day! Say goodbye to the stars and the moon and simply focus on going to bed! 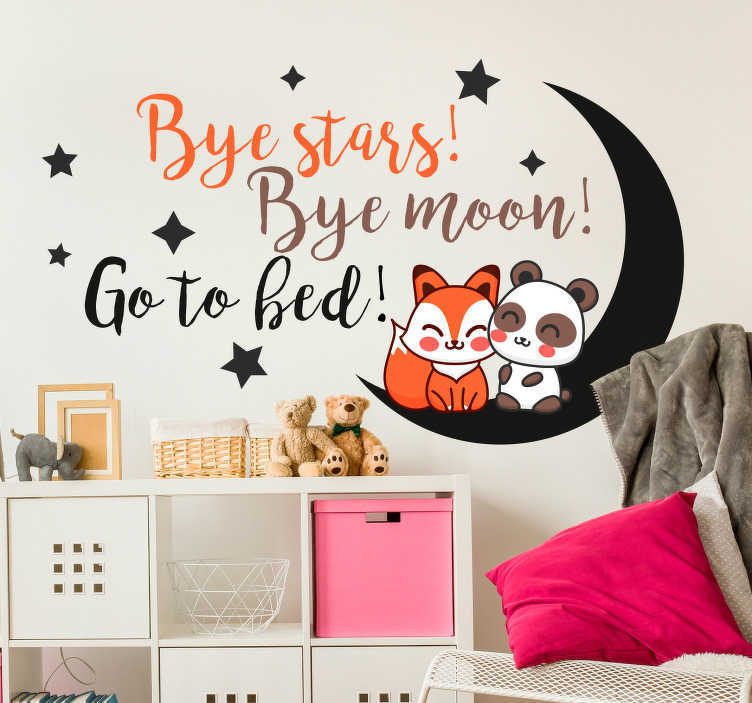 Ideal bedroom decor for the bare wall in your child´s home!